Since moving to Brighton, my second home has become the Cowley Club, a collectively-owned non-profit base for activists to meet each other, hold meetings, stage events and eat vegan cake! I have become involved with Smash EDO, an anti-arms campaign against the local weapons factory, EDO MBM. 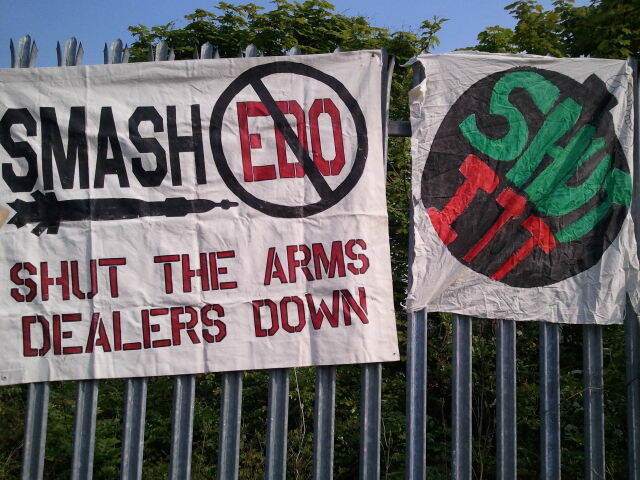 Admirably, Smash EDO has been campaigning constantly since 2004, holding weekly demonstrations outside the factory, as well as organising many mass direct actions, rooftop occupations, peace camps, critical mass bike rides, blockades of the company’s phone lines…the list goes on. 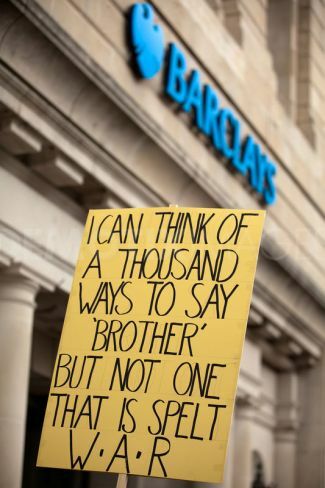 And in January 2009, when more than 1,400 Palestinians were killed in the Gaza Massacre, a group of activists broke into the factory and caused hundreds of thousands of pounds worth of damage. 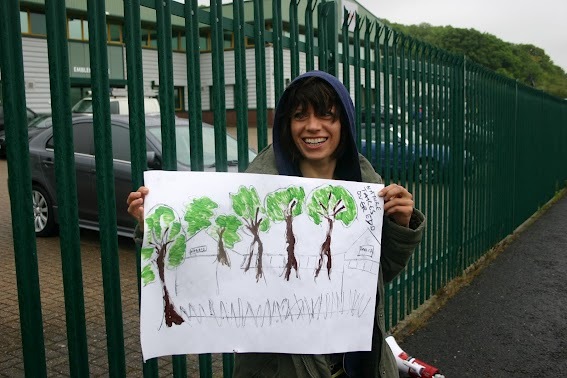 In court, the activists were found not guilty, as they were trying to prevent a greater crime. 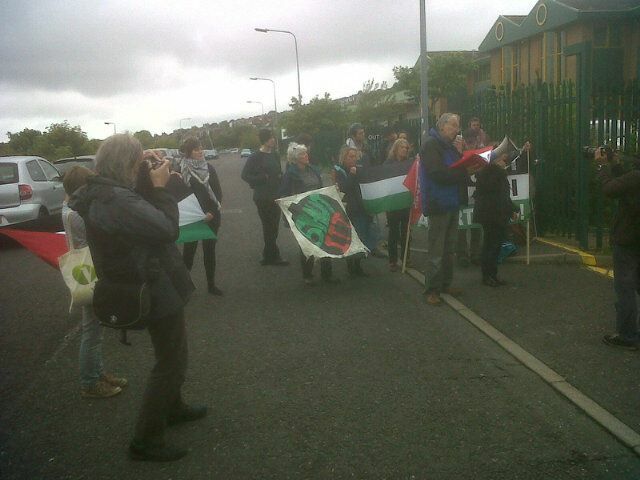 Despite all this, EDO remains in Brighton, protected by police at every demonstration. EDO is complicit in all sort of horrific crimes. They worked jointly with Raytheon Systems in the development of the Paveway bomb, which was the most used air weapon in the 2003 attack on Iraq. The company manufactures the bomb release mechanisms and owns the patents of several of the components used in Israeli F16 aircraft. It has also supplied weapon umbilical cables for jets involved in some of Afghanistan’s deadliest massacres and has just won a new contract for the supply of FRCS cables for the US A-10 bomber, which fires cluster munitions. And in May of this year, EDO announced that work is being done in Brighton to develop bomb release units with a footprint “the size of a dollar bill”. “Flexible responses require new approaches to the delivery of small non-traditional weapons from non-traditional airframes involved in the kill chain”. 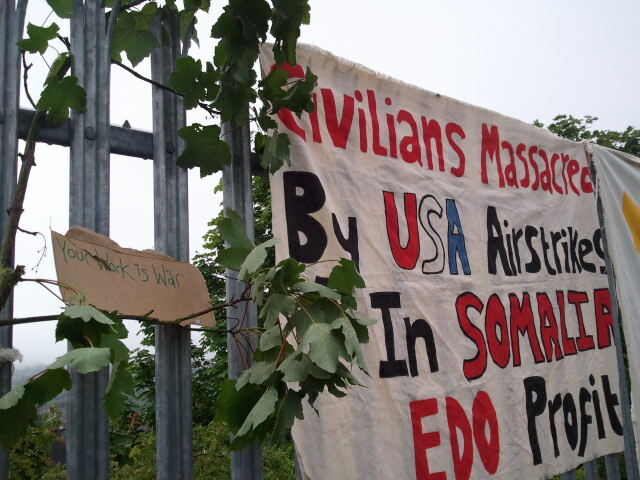 EDO will be complicit in, and profit from, US warcrimes using unmanned aircraft (drones), armed with miniature weapons. Indeed, the company manufactures parts for drones used by the US and UK in Afghanistan and which have been used by the US in Yemen, Somalia and Pakistan. ITT, the corporation that owns EDO, has a sinister history. It owned 25% of Focke-Wulf, the German aircraft manufacturer which built Luftwaffe. And in 1939, ITT was the first foreign company to be declared “German” by the Nazi government. ITT were also heavily complicit in the 1979 US-backed military coup in Chile, when fascist dictator Augusto Pinochet seized power. Thousands of Chileans were tortured and murdered, or disappeared completely. Equipment manufactured by EDO would also be used in an invasion of Iran. 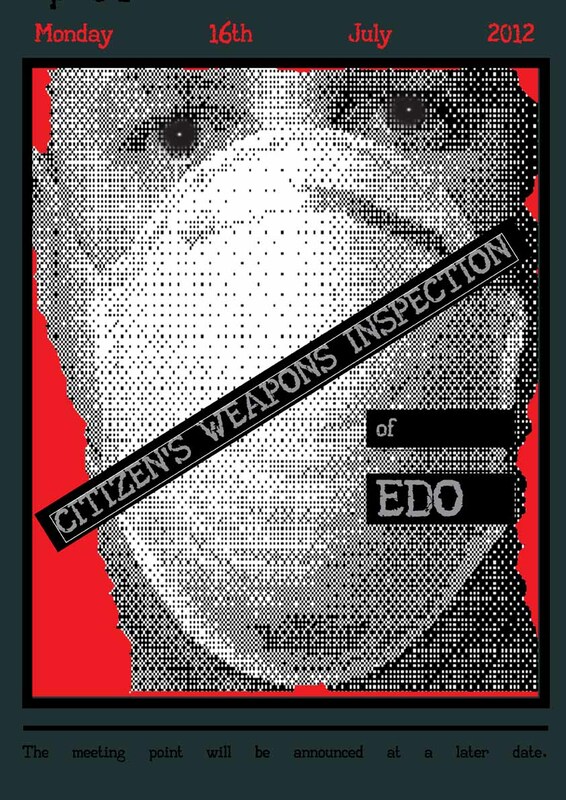 On Monday 16th July we are holding a massive demonstration: the Citizens’ Weapons Inspection of EDO. We are expecting activists and concerned public from all over the country to come and join us to march against the arms trade. 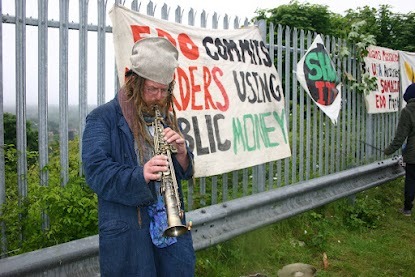 If you can find the time, please come and join us and stand in solidarity against EDO and their profiting through war. As you say you moved to Brighton – if you don’t like what is already there then leave and stop trying to take jobs away from an area that is predominantly minimum wage customer service jobs. 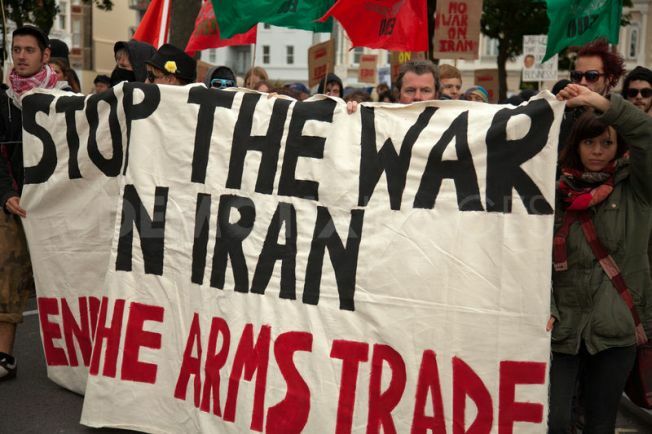 wow – so jobs for arms workers in Brighton – in the arms industry which is subsidised by the government for £12,000 per job – are more important than the lives of people in other countries? If these deaths were somehow more real to you – if they weren’t just stats in a newspaper – then i really think (or hope) that you would wake up and feel some compassion.